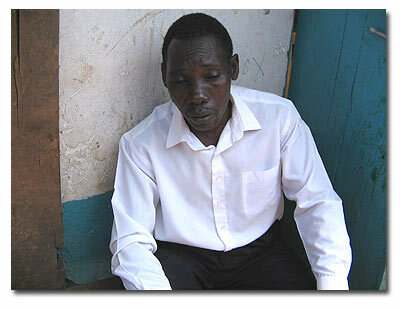 Enoch Mutabaazi interviews residents of Katanga. 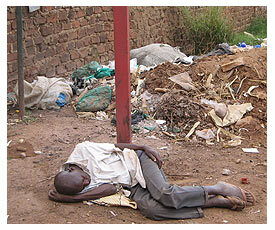 Its a katogo of lifestyles and income levels at Katanga. All Photos from Ultimate Media Consult. But whatever the description one comes up with, it is still Katanga: It was there then, and it is there now, and will possibly be there tomorrow. Many NGOs like Slum AID project have compared the living situation in Katanga to that of the internally displaced persons, (IDPs) because of the misery and emaciation the people in both places seem to share. At 8 a.m. when I arrived at the fringes of the slum, I met 12-year-old Mohammad carrying his little brother, Hassan, age 2. Although it was morning, they both seemed stressed and hungry at this early hour. A few meters from where Mohammad and Hassan were standing, was a man snoring in an open area. Drinking the night before obviously had its toll on him, and he seemed far from this universe. So, what makes Katanga qualify as popular and at the same time notorious? As I used my knowledge of the area and experience on my tour, I believe the answer partly lies in the slum's housing system that has defied modern changes, as well as perceived immunity by its residents towards modern influence. But never mind that it is sandwiched between Makerere University and Mulago Hospital----both institutions are the city's rare epitome of progressive development. 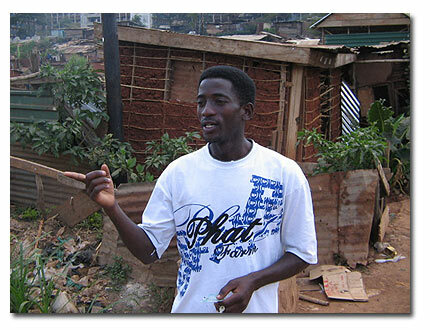 The Katanga slum embraces people of all walks of life, too. 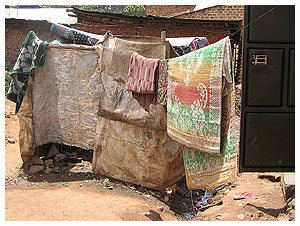 Temporary mabaati (iron sheet) units, murky shacks and vast mud and wattle huts define housing in Katanga. One would be forgiven for thinking it had been levelled in the dark. Healthy bedbugs and red ants leisurely patrolled the community like a band of royal guards. I tried to count the holes in the roof on my fingers and promptly ran out of fingers. At one point, I found myself tallying the stars in the sky with ease through the openings in the roof. And to address the matter of security is to notice a toddler when locked could nudge the frail wooden door open. It was coming to 9:30 a.m., but all of Katanga still seemed very much asleep with the exception of a few kids screaming here and there and a number of drunkards yelling. There were no visible adults moving or seated at houses or what you would call "verandas." My guide, who was seemingly reading my mind, told me that many people are still resting from the previous day's drinking bash. According to the Local Council 1 chairman of the Kimwanyi zone, Hassan Wasswa, the whole Katanga area accommodates about 16,000 people. The houses are so crammed together that only snake-size spaces separate one household from another. A huge drainage channel crisscrosses the houses. 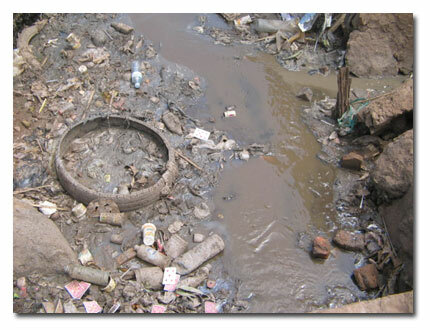 A lot of rubbish is dumped in the drainage from dead animals like dogs, cats, and chicken to human waste. 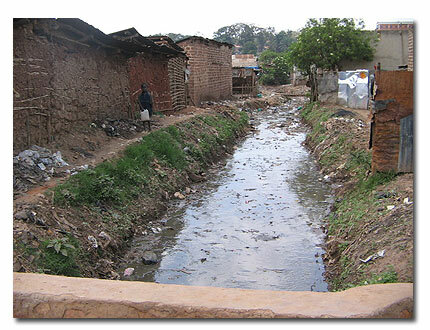 At some points, the drainage channel water is stagnant with floating polythene bags, (locally known as buvera,) wings of dead chicken, old clothes and mud. 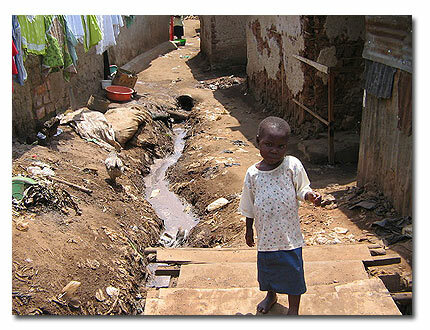 But this does not stop the kids to innocently play around the stagnant water in the drainage, putting their lives in danger of contracting the diseases and plunging themselves into the drainage. 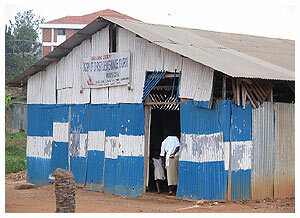 Katanga's major economic activities include fish smocking, selling local brew and food stuffs. 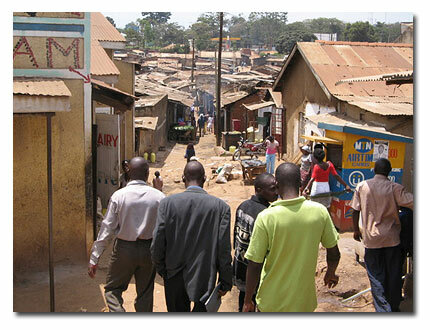 At anytime of the day, people are walking ad transacting within the congested Katanga, but mostly on Gideon Street, where it is termed "Katanga's highway," which runs from Wandegeya to the Mulago side of Katanga. There are four schools and a church, all made from wood, showing how much Katanga, which is just two kilometers from the city centre, is a reminder of how poor Uganda is. 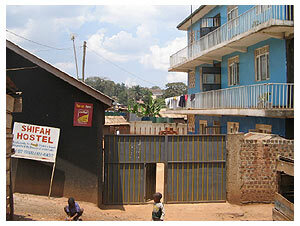 Nevertheless, a playing field for children to play football and other games is one indication that life is after all normal in this part of Kampala. 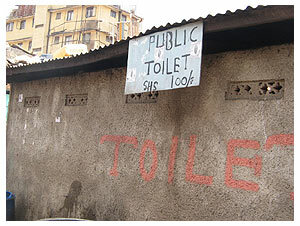 Given the high congestion, private things like a short or long call, (going to the toilet) and a bath are a public matter in Katanga. Makeshift bathrooms and paid-for toilets are a must here in Katanga, but one can't help but wonder where seemingly poor people get money to pay for basic unavoidable things like going to the bathroom. 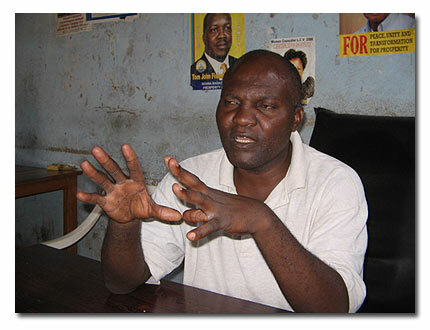 Local Council 1 chairman of the Kimwanyi zone, Hassan Wasswa. The Defense Secretary for Busia zone, Sseka Ddebe Karugaba. But not all are happy with the new development especially those displaced by the flats occupied by hostels.